Throughout this section you will see our most up to date exam results. We had a year of fantastic results in 2018 which shows the massive improvements that has already happened at our school and that are continuing to happen. 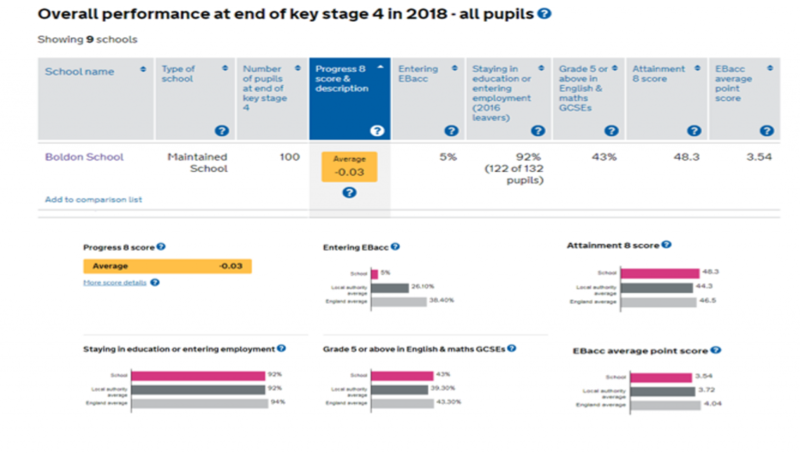 Click on the image below to view the entire overview of Boldon School’s results and performance.